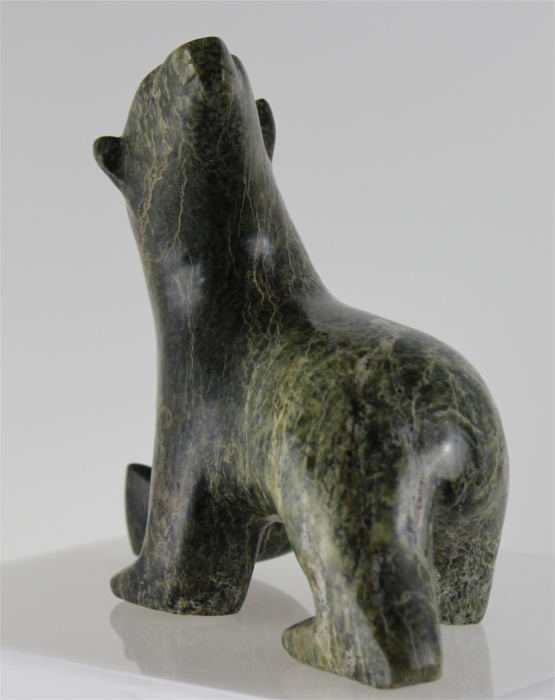 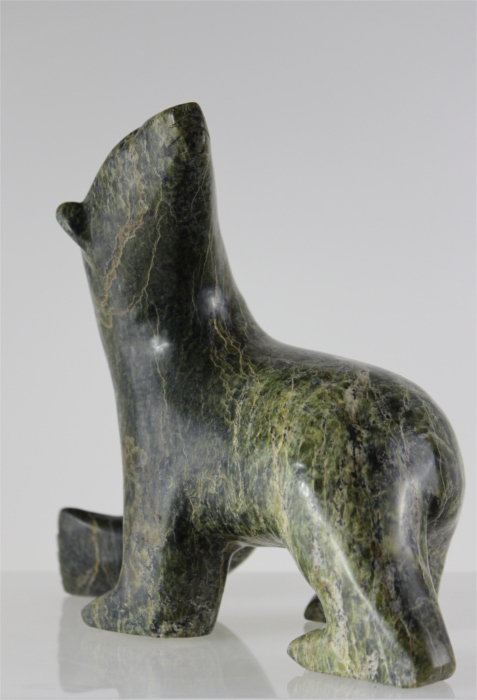 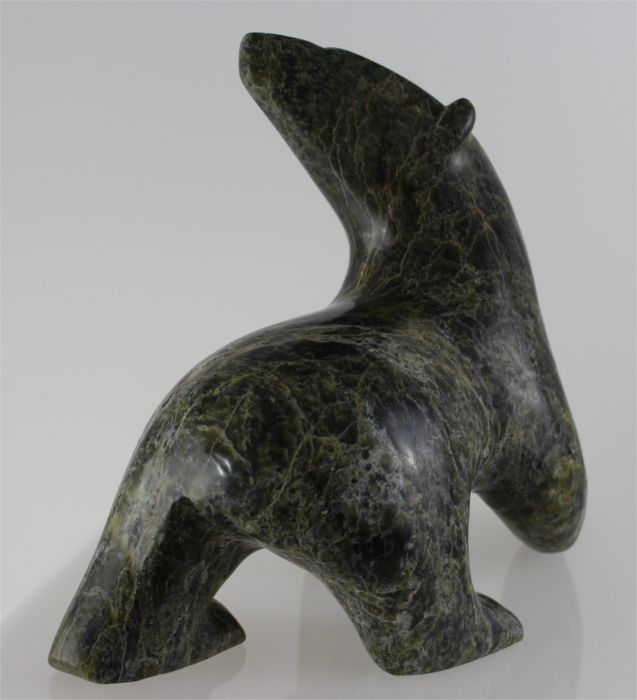 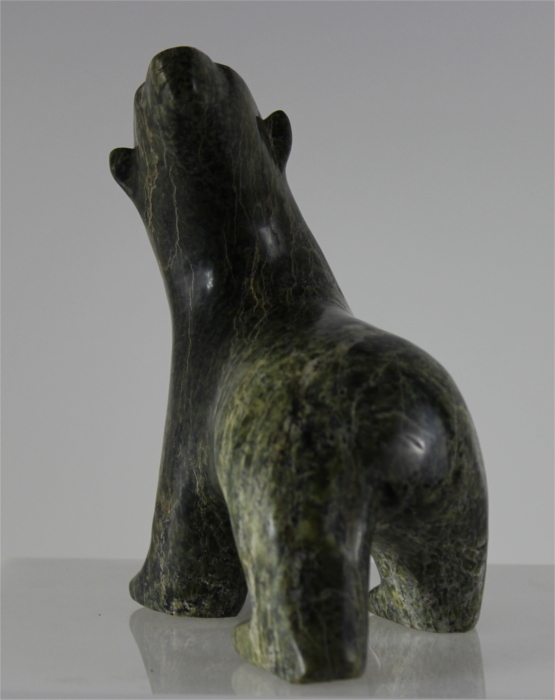 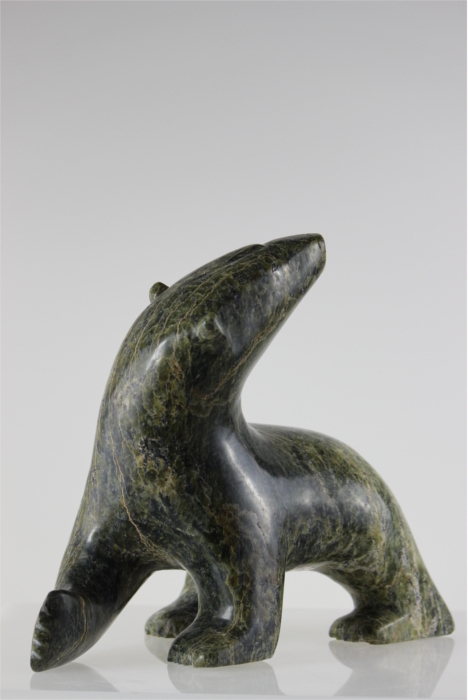 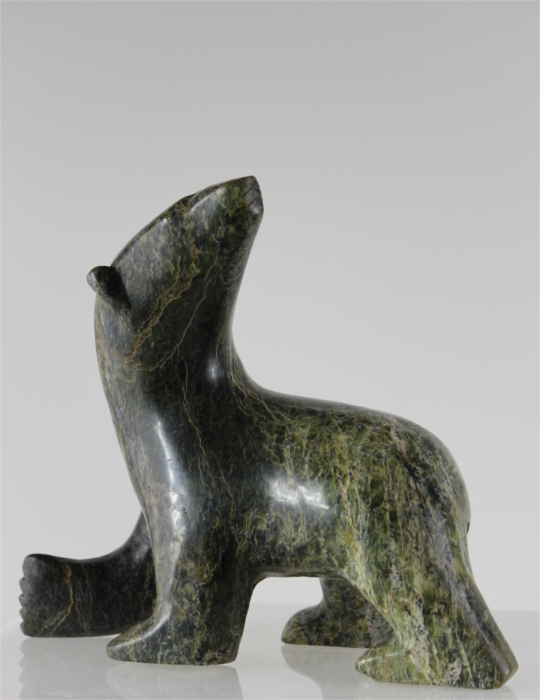 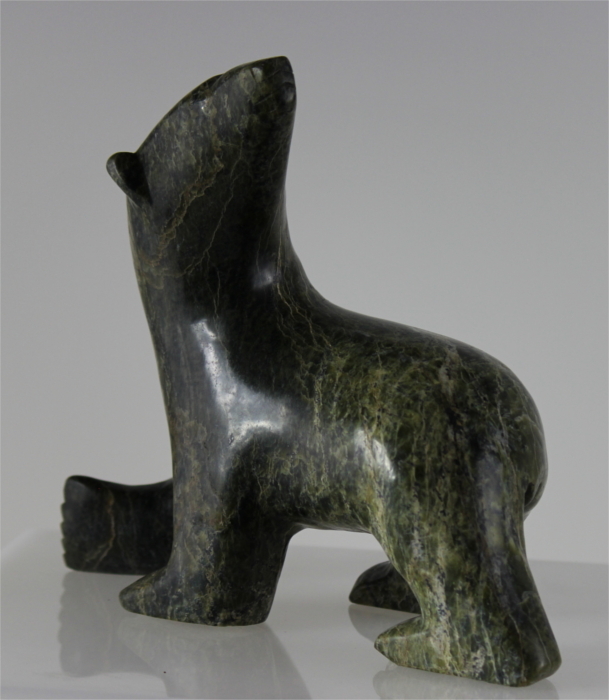 This serpentine bear carved by Jamesie Kelly is a gorgeous piece of Inuit art. 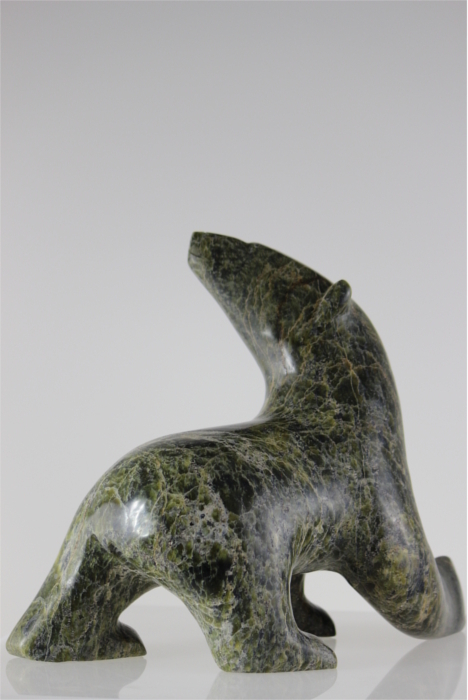 Jamesie Kelly is from Cape Dorset, a community renowned for its art production. 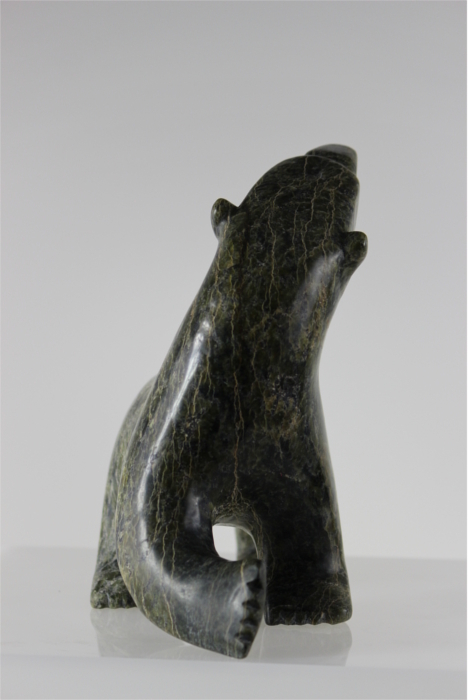 The pose and lines of this bear are stunning, as is the serpentine used. 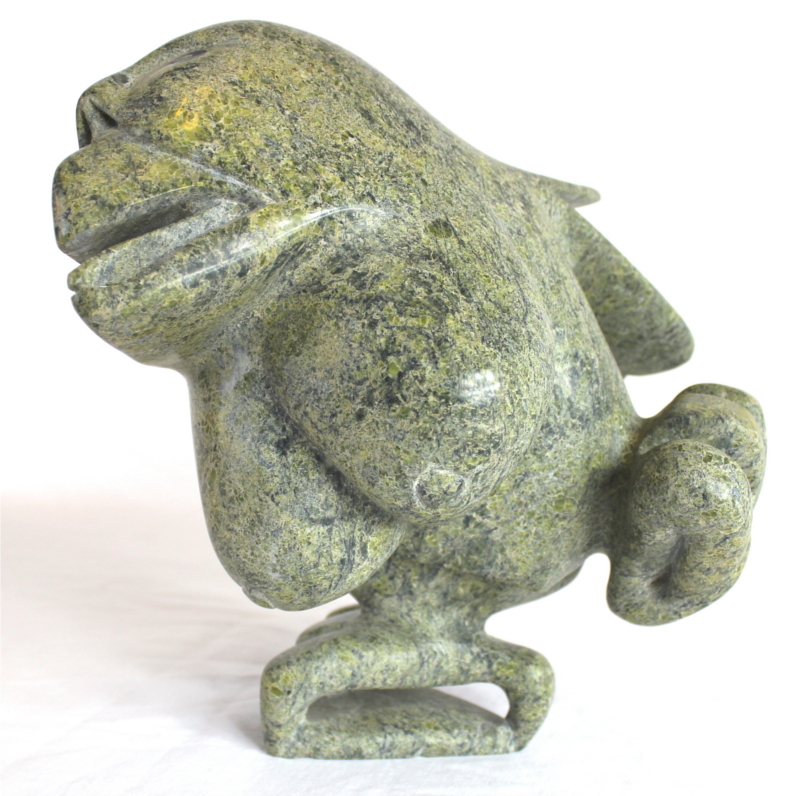 A great piece!